Never Enough Nails: Preview Picture- Sephora by OPI Spring! Just got this drool-worthy picture of Leaf Him at the Altar from the Sephora by OPI Spring collection! I should be getting this polish in sometime next week. I can't wait to test it out and post more pictures! But here's a promo pic to hold you over til then! 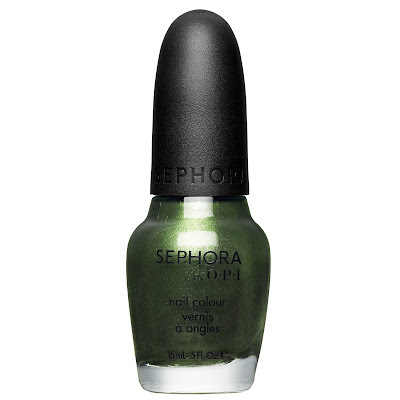 Sephora by OPI Leaf Him at the Altar is available now at Sephora stores and online at Sephora. Me too Goose!! It makes me giggle :) i am pumped to get this! I knoooow! Can't wait to try it!